This entry was posted in bath and body, candle fragrance oils, candle making supplies, Fragrance Oils, Natures Garden, Natures Garden Fragrance Oils, Soap making supplies, Uncategorized, wholesale fragrance oils and tagged bath and body, bath and body products, bath and body recipes, bath fizzies, bath fizzies recipe, berry fragrances, Black Raspberry and Vanilla Fragrance Oil, Black Raspberry Vanilla Body Butter Recipe, blue raspberry fragrance oil, body butter recipe, candle making, candle making supplies, candle wax tarts, candlemaking supplies, chocolate raspberry drizzle fragrance oil, Chocolate Raspberry Drizzle Rolled Mp Soap Recipe, cold process soap, cold process soap scents, cp soap, Crafts, diy, fragrance oil, fragrance oils, fragranceoil, free recipe, free recipes, fresh raspberry fragrance oil, fruit fragrances, homemade, homemade lotion, homemade soap, melt and pour soap, natures garden, natures garden candle supplies, Peach Magnolia Raspberry Fragranc OIl, Pink Lemonade Scrub Recipe, raspberry cold process soap recipe, raspberry cream cupcake fragrance oil, raspberry cream cupcake wax melts, raspberry fragrance oils, Raspberry Lemonade Fragrance Oil, Raspberry Zinger Fragrance Oil, shea lotion, soap making, soap making supplies, soapmaking, sugar scrubs, Summertime fragrances, sun ripened raspberry fragrance oil, wax tarts, wholesale fragrance oils on May 18, 2018 by Deborah Ward. It’s almost summertime! My favorite season of the year. I adore the sun, the heat, swimming and camping! Also, summer is cookouts, bonfires, ice cream cones and thunderstorms. The list is endless when it comes to summertime activities. Summer also brings out some amazing smells. If you live in the country, on a farm or just like to take a drive through the country, then you are aware of the wide range of smells you can get. There are good smells, like fresh cut hay, fresh cut grass, honeysuckle, and the air after it rains. Then there are some *ahem* not so good smells. I’m pretty sure I don’t need to list those as we are very aware what those might be. Summer also brings out the gardens of flowers, fruits and vegetables! Sunflowers, raspberries and corn on the cob are just some of the best things about summertime. Nature’s Garden has just some of the best smelling raspberry fragrance oils. So, if you are looking for some new summertime fragrances to enhance or add to your line of products, we are sure you will find something to help you out! This fragrance oil is one of Nature’s Garden most popular sellers! Black Raspberry & Vanilla is an enticing blend of blackberries and raspberries, with middle notes of white floral greenery, and bottom notes of musk and vanilla. Black Raspberry & Vanilla fragrance oil is a major winner in all categories. In cold process soap testing this fragrance had a perfect pour! No ricing, acceleration or separation. There was no discoloring and the scent retention was amazing after it’s cure! This oil also is amazing in all bath and body products and is amazing in lotion! Not only is the fragrance oil a best seller, but Nature’s Garden offers a Black Raspberry & Vanilla Body Butter Kit that is also a popular item with our customers. Made with shea butter, apricot kernel oil, and cocoa butter, this lotion is thick, creamy and luxurious to the skin. With the sweet scent of Black Raspberry & Vanilla, people will be asking what smells so good! I think out of all the flavors of slushies you can get at your favorite ice cream stand or gas station pit stop, Blue Raspberry is always the most popular. This fragrance captures the aroma of ripened raspberries, sugary cotton candy, and the effervescence of crushed ice. This trip back to childhood truly smells good enough to slurp…but I wouldn’t suggest it! This fun summertime fragrance oil is one of Nature’s Garden’s best sellers! It works beautifully in all candle waxes and in air fresheners. In our cold process soap testing Blue Raspberry Slushie had no ricing or acceleration, however, there was some separation, but it did reabsorb. There was some discoloring to a light tan. Vanilla white color stabilizer is suggested to help prevent this. Still, the scent retention stayed strong throughout its cure time. 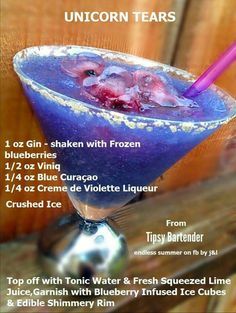 How about a grown-up version of a the ever popular summertime treat? 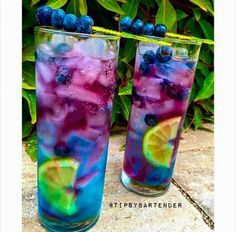 I’m talking an icy cool Blue Raspberry Lemonade Slushy made with lemonade Kool-Aid and UV Blue Raspberry Vodka! 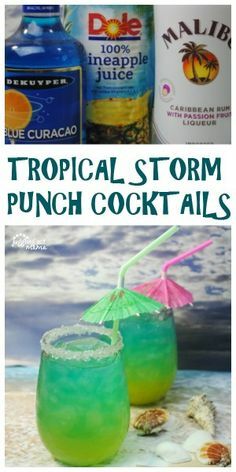 Perfect for a summertime pool party that is quick and simple to whip up! This fragrance oil by Natures Garden is a decadent treat that is sure to please. A rich dark chocolate accord surrounds luscious ripe raspberry tones for the fragrance signature. Green stem notes create natural appeal for the fruit character, while a generous base of velvet musk and sweet vanilla completes the yummy sensation. This is a perfect addition for a chocolate line of products! Chocolate Raspberry Drizzle worked perfectly in our cold process soap testing. There was no ricing, accelerating or separating. The scent retention stayed strong and true through it cure time. However, this fragrance oil will discolor to a chocolate brown. In reality, it’s a perfect color for the name of this fragrance! This oil also did very well in all candle waxes and room freshening. We loved this fragrance so much, we dedicated a recipe to it! Our Chocolate Raspberry Drizzle Rolled Soap is not only incredibly easy, it will give some definite compliments by how yummy it looks! 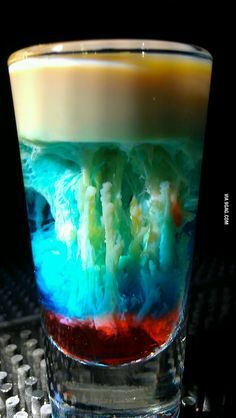 Made with melt and pour soap base and a little ingenuity and you have yourself a major attraction for your customers! Not only does it look like a yummy, decadent dessert, it will smell like one too! You may have to put a “Do Not Eat” warning label on it! We have searched literally 10 years for a nice, strong, true fresh raspberry scent that did not have oily green top notes. This is an extraordinarily realistic, fresh raspberry fragrance oil by Natures Garden. Smells just like summertime! This fragrance oil had a perfect pour in our cold process testing! No ricing, separating, accelerating or discoloring! Fresh Raspberry is a definite soaper’s dream come true! It also worked wonderfully in all candle waxes and it makes a wonderful air freshener! Are you looking for a fresh new cold process soap recipe? This Raspberry Cold Process Soap Recipe is a perfect summery addition to your recipe box! 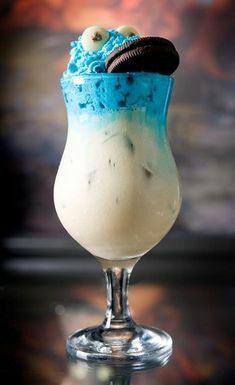 Our recipe gives you an amazing amount of time to get creative with the white swirls! Then add the finishing touches of dollops of “whipped soap” and some raspberry embeds, you have a Raspberry Cheesecake Soap that looks like the real thing! Here’s a recipe if you are craving some actual cheesecake! A sugar cookie crust, cheesecake filling and swirled raspberry jam on top will hit that sweet tooth in just the right spot! This fragrance oil by Natures Garden is an absolutely succulent blend of Lemon, Grapefruit, Peach Nectar, Raspberry, Pink Tulip, Soft Jasmine, Magnolia, Wild Honeysuckle, and Sheer Musk. Peach Magnolia Raspberry is a perfect balance of sweet, tart and floral. Our Peach Magnolia Raspberry did well in all candle waxes and air fresheners, When we tested this fragrance oil in cold process soap, it worked perfectly with no acceleration, ricing or separating. There was no discoloring and the scent retention was strong and true. 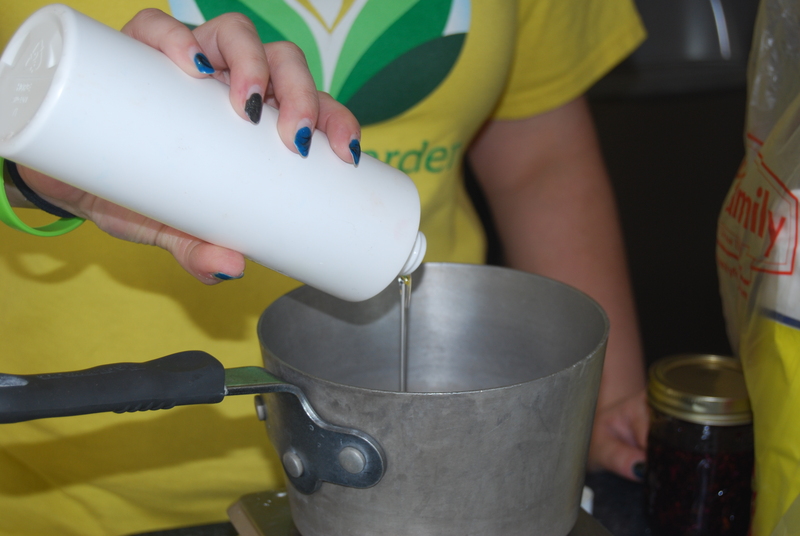 We created a lovely Shea Lotion with Herbal Infusion that is amazing on the skin! With an herbal infused water of hibiscus flowers and rosehips powder, you will get an antioxidant rich lotion that will leave your skin silky smooth. Scented with our Peach Magnolia Raspberry fragrance oil gives this lotion a nice, light scent that doesn’t overwhelm. We have quite a few cupcake fragrances in our bakery line, but you are going to just love our Raspberry Cream Cupcake fragrance! This wonderful fragrance begins with top notes of fresh raspberries, pear, and apple; followed by middle notes of Madagascar vanilla, blonde sugar cane, butter and maple; well-rounded with a dry base note of vanilla extract. This fragrance oil worked perfectly in cold process soap! There was no accelerating, separating or ricing. It did discolor to a dark brown, so we suggest using Vanilla White Color Stabilizer to help prevent this. The scent retention stayed nice and strong through its cure time. Raspberry Cream Cupcake also did well in all candle waxes and in room fresheners. When you have a cupcake fragrance oil in your collection, then you create a cupcake wax tart recipe to go with it, right? This super simple recipe that uses our pillar of bliss and of course our Raspberry Cream Cupcake fragrance oil. Your whole house will smell like a bakery! Your guests or family members will be wanting to know where the cupcakes are! 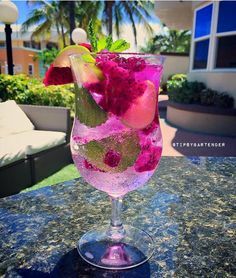 This fragrance oil by Natures Garden is the mouth-watering combination of ice-cold lemonade, sweet, juicy raspberries; with a unique twist of natural lavender and white musk. Raspberry Lemonade is a perfect summertime fragrance! Tangy, sweet and lemony! Once again, Nature’s Garden has another wonderful fragrance oil that is amazing to work with in cold process soap! No ricing, acceleration, separation. It did discolor to a butter color. Using a vanilla white color stabilizer would help prevent this. It’s scent retention was still strong and true after the cure time. 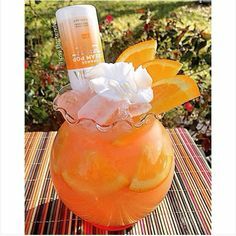 Sugar scrubs are incredibly popular in the bath and body world. They are easy to make and even economical. Our Pink Lemonade Scrub recipe is full of skin loving ingredients such as, olive oil, cocoa butter, coconut oil and Vitamin E. We added some lemon peel powder to give it that added lemon zing and of course our Raspberry Lemonade Fragrance Oil. This color vibrant sugar scrub would be an awesome summertime addition for you line of bath products! Ever eaten a Hostess Raspberry Cream filled Zinger? Well, this fragrance oil by Natures Garden is the duplication of the aroma. This wonderful creative scent begins with sweet raspberry and toasted coconut, middle notes of buttercream frosting, and bottom notes of freshly baked yellow sponge cake. We guarantee you will want the real thing after using this fragrance in a recipe! This fragrance oil did wonderful in our cold process soap testing! No acceleration, separation or ricing. However, it did discolor to a chocolate brown. We suggest using a Vanilla White Color Stabilizer if you plan on keeping your project a white color. Raspberry Zinger also did well in all bath and body products and in air fresheners. Bath Fizzies are like bath bombs and just as popular. If you are looking for a different take on the bath bomb, our Raspberry Zinger Bath Fizzie is the perfect recipe to try. Looking like a delicious treat to eat instead of something you use in the bath, this fizzie is a fun addition to help you relax after a long day. 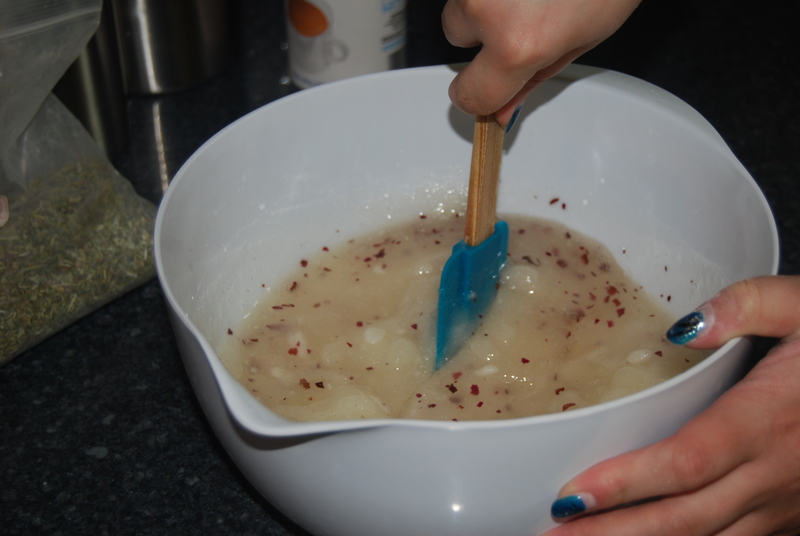 This recipe is made with the basic bath bomb ingredients: baking soda and citric acid. We have added dead sea salt, coconut oil and our goat’s milk melt and pour soap base to help enhance the skin nourishing qualities. It may smell good enough to eat, but it might not taste as good. How about making your own edible raspberry zingers? It may look like a complicated process, but with the help of cake mix, Jell-o, pudding and some marshmallow fluff, you can re-create a favorite childhood treat in no time! Perfect for a birthday party or a special treat for somebody you love. If you remember Bath and Body Works Sun Ripened Raspberry, then you will know that Nature’s Garden’s Sun Ripened Raspberry smells incredibly similar. In fact, we have had customers who like our version better! This fragrance oil begins with top notes of ripened raspberries, red delicious apples, and oranges; followed by middle notes of ylang ylang, rose, greenery, and tagete; well-rounded with base notes of vanilla beans. Very yummy and delicate! Sun Ripened Raspberry did very well in our cold process soap testing. There was no separation, ricing or accelerating. The scent stayed nice and strong throughout its cure. It did, however, discolor to a light beige. This fragrance is perfect for bath and body products! It makes a wonderful fragrance for lotion! It also did equally well in candle waxes and air fresheners. How about giving yourself some snaps for all the cool things you create! Go ahead and strut your stuff by reaching out to us on Facebook, Twitter (@ngscents) or Instagram (@ngscents). Send us a picture and tell everybody what you made! We love hearing from our customers who show us how they use our products in their masterpieces! This entry was posted in candle fragrance oils, candle making supplies, Fragrance Oils, Natures Garden, Natures Garden Fragrance Oils, Soap making supplies, wholesale fragrance oils and tagged adding wine to scrubs, adding wine to soap, amazing lotion recipe, bath and body, bath and body products, bath and body recipes, best wine fragrances, cabernet sauvignon fragrance oil, candle making, candle making supplies, candlemaking supplies, christmas cabernet fragrance oil, cold process soap, cold process soap scents, cp soap, Crafts, diy, diy lotion recipes, diy sugar scrubs, fragrance oil, fragrance oils, free recipe, handmade candles, handmade soap, homemade, homemade candles, homemade soap, homemade sugar scrubs, how to add wine to soap, how to make scented gel candles, how to make wine soap, merlot fragrance oil, Muscadine Fragrance Oil, natures garden, natures garden candle supplies, ng nappa valley fragrance oil, realistic gel candles, red wine fragrances, resveratol, shiraz fragrance oil, soap making, soap making supplies, soapmaking, soapmaking supplies, sugar scrubs, Tuscan Wine Fragrance Oil, unique gel candles, where can i find wine fragrances, white zinfandel fragrance oil, wholesale fragrance oils, wine aromas, wine for soaps, wine fragrance oils, wine fragrances, wine fragrances for soap making, wine scented oil, wine scents, wine soap making, wine soap recipe on April 5, 2018 by Deborah Ward. Up until the last 20 years, wine was not very popular. Only in recent years has a “wine-craze” taken over in society. Availability and affordability are the number one reasons why this alcoholic beverage has taken a close second to the sale and production of beer. Nature’s Garden is totally hip to the popularity of “vino”. We have listed below, our best wine fragrance oils. Some of our fragrances have recipes that incorporate actual wine and of course the fragrance itself to create an amazing bath and body product. How about creating a gift basket of lotion, soap and/or a body scrub all using wine for clients or family members who are wine lovers? So, go ahead and raise your glass to learning about all our wine-inspired fragrances and their recipes! Cheers! Did you know? Wine has been around for centuries! Dating back as far as 4100 B.C. the world’s oldest winery was discovered in Armenia. There are basically 5 types of wine; Red, White, Rose, Fruit and Mead (which is a honey wine). These types of wine are based on the grapes that were used to create. Each wine is named after the type of grape that was used to create it. Our first wine fragrance is Burgundy Rose. With this fragrance oil by Natures Garden, romanticism, luxury, and culture combine to produce this luxurious fragrance blend. Sensual burgundy rose with fresh white floral nuances, blend with exquisite burgundy wine, and warmed by precious musk and apple wood. Finally, this rose fragrance can withstand the saponification process without losing its authenticity. This fragrance did well in our cold process soap testing. There was no ricing, separating or discoloring. There was some accelerating so soaping at room temperature is strongly suggested. The scent held up nice and strong throughout its cure. Burgundy Rose also did well with candles and in bath and body products. We have a wonderful recipe that uses this romantic fragrance oil. Our Burgundy Rose Bath Milk Soak recipe incorporates powdered goat’s milk. Oat Straw powder with an added touch of rose petals to help boost the floral fragrance. Oat Straw is know for it’s skin rejuvenating and softening properties so it is a perfect addition to this recipe. Cabernet Sauvignon is a very popular seller here at Nature’s Garden. Our fragrance oil is the essence of a sweet aroma of wild grapes enhanced with hints of strawberries and sweet sugary notes with a light alcoholic background. A wonderful aroma of red sweet Cabernet wine. This fragrance oil had a decent test run in cold process soap. There was no ricing or accelerating, however, we did experience separating when we placed the batter in the mold. It did combine back together as it solidified. Due to the fact that this fragrance oil has a high vanillin content. We suggest using our Vanilla White color stabilizer to help prevent this. This fragrance oil did well in other bath and body products and in all our candle wax testing. Do you know? The wine itself is a bold and assertive full bodied wine, best paired with any type of meat dish, barring the spicy ones. Grilled meats and vegetables, hearty stews and meaty types of fish, such as Ahi Tuna or Swordfish, go well with this wine. This fragrance oil was designed to capture not just the wine itself, but also the essence of the Christmas season. Cabernet has a classically deep, red color and displays a lovely bouquet of berries and oak. A full-bodied wine with good varietal character and power, it offers rich cherry flavors with excellent balance and a long finish. We have combined this lovely aroma with hints of Christmas time, and created our version of Christmas Cabernet. Christmas Cabernet did very well in our cold process soap testing. There was no ricing, separating or accelerating. This fragrance oil has a slight vanillin content. It caused our soap to discolor to an olive/tan color. Vanilla White Color Stabilizer would be helpful in preventing discoloring. We liked this scent so much that we created a beautiful Wine Sugar Scrub recipe that not only has Christmas Cabernet as the star fragrance, but we also used a splash of real wine to help enhance the skin loving qualities of this scrub. This recipe is chock full of moisturizing components such as, cocoa and shea butter, olive oil, grapeseed oil, sweet almond oil and Vitamin E. That’s just the beginning! Your skin will be soft, supple and moisturized, not to mention smelling sweet and yummy! Do you know? Cabernet is a type of grape that is used in red wine making. The addition of Sauvignon came from an accidental cross-breeding of the wine grapes; Cabernet Franc and Sauvignon Blanc and Cabernet Sauvignon was born! This fragrance oil by Natures Garden has velvety nuances of plums, apples, red raspberries and strawberries which combine with a light alcoholic and spicy background. Merlot did wonderful in our cold process soap testing! A soaper’s dream come true! No ricing, separating, or accelerating and no discoloring! The fragrance stayed strong and true throughout it’s cure. This fragrance oil is perfect in our Wine Cold Process soap recipe! This soap has skin loving oils such as, Meadowfoam Seed Oil, Fractionated Coconut Oil and Sunflower Oil. 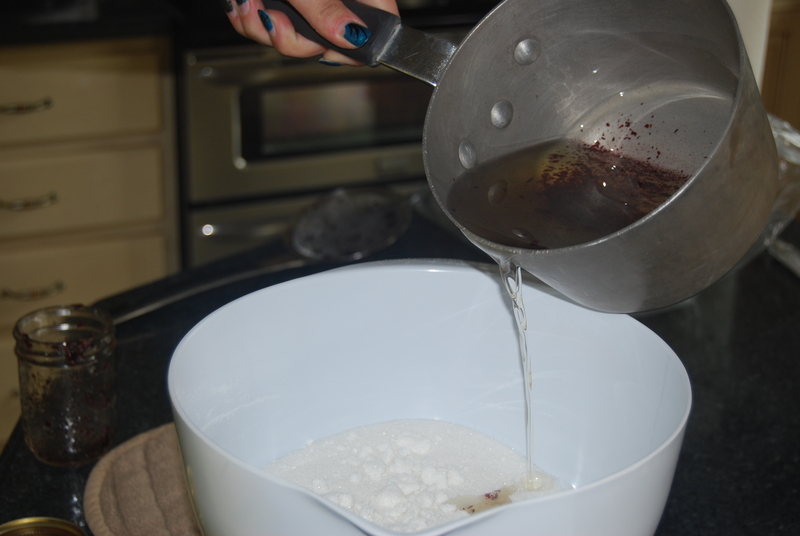 We also incorporated wine in the recipe to be used as part of the water portion! A perfect addition for a true wine inspired soap! Do you know? Wine (and grape juice) contain a high content of Resveratrol? Resveratrol is a natural polyphenol found in the skin of red grapes that has excellent antioxidant qualities. When used in cosmetics, this micronutrient can help protect the skin from UV damage, and reduces the occurrence of age spots. Resveratrol also has anti-bacterial, anti-fungal properties, and is used in products that fight acne. This amazing product is used in anti-aging, anti-wrinkle cosmetic products, and provides anti-inflammatory properties that can reduce swelling. NG Nappa Valley oil by Natures Garden is a beautiful duplication of the Yankee candle scent. This fragrance is reminiscent of the cultural heritage surrounding Napa Valley, and the effervescence of rich, aged wine. The scent is a complex blend of aged wine, lilac, vanilla, violets, and lilies, with a light musky base note. A definite complex fragrance that is very pleasing to the nose! NG Nappa Valley Harvest is a winner when it came to our cold process soap testing! There was no ricing, separating, or acceleration. It did discolor to a light butter color so you may chose to use our Vanilla White Color Stabilizer to help prevent this. This fragrance also did very well in our bath and body product testing and in our candle wax testing! Do you know? September through November is when the actual Napa Valley Harvest season is. Harvest season is a busy, bustling time with the season’s harvest being brought in and new batches of wine that are being made. Visitors not only get to sample the varieties of the wines that are made, but you can also participate in the picking and the smashing of the grapes! The pronunciation of Shiraz is taken from the original name “Syrah” but for one reason or another, Australians adopted the well known term Shiraz. The aromas and flavors of Shiraz vary with wine style and region, but are usually blackberry, plums, and pepper in varying degrees dependent on growing conditions. Natures Garden’s Shiraz fragrance is reminiscent of this prestigious wine. Shiraz Fragrance Oil did beautifully in our cold process testing. With no accelerating, ricing, seperating or discoloring, it is another soaper’s dream! The scent stayed true and strong througout it’s cure time. Shiraz also did well in all our candle waxes and in bath and body products. 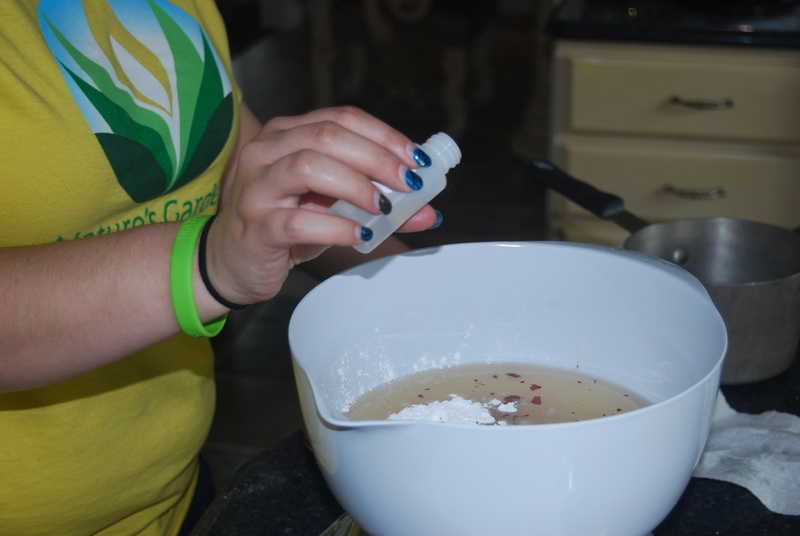 With a fragrance oil that does so well, we had to create a recipe with it! 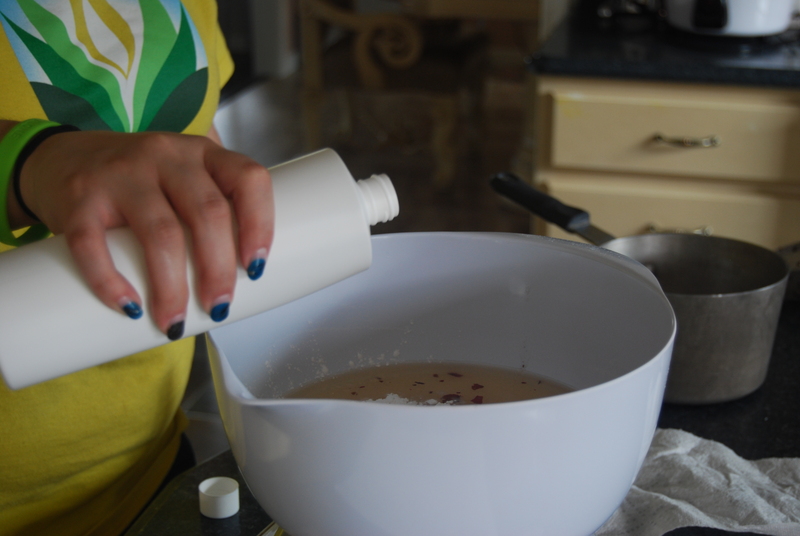 Our Wine Lotion recipe is loaded with some amazing skin loving ingredients. Jojoba oil, Cocoa Butter, and Vitamin E to name just a few. Of course we did include our Reservatrol Powder which you know is a wonderful for aging skin! If you’ve ever dined at an Italian restaurant and drank wine from a flask that was wrapped in straw, you’ve enjoyed Tuscany Chianti wine. Natures Garden’s Tuscan Wine fragrance is a true luxury fragrance beginning with top notes of black grapes, strawberry, and red wine; followed by middle notes of white flowers and sweet cinnamon; and sits on dry wood notes. Tuscan Wine did beautifully with cold process soap testing. It had no ricing, separating or accelerating. It did discolor to an olive brown, so Vanillin White Color Stabilizer may be used to help prevent this. The scent retention during and after its cure time was amazing and strong! Do you know? The straw wrapped wine bottle of Chianti is called a “Fiasco” which in Italian means: bottle or flask. This fragrance oil by Natures Garden has the aroma of fruity dry pink wine with undertones of red raspberries, currents, strawberries and rose petals with a light alcoholic background. Zinfandel is the type of grape that is used to make this incredibly popular wine. The “White” part is actually a method of making the wine itself, hence the name White Zinfandel. White Zinfandel tested positive in cold process soap making. With no acceleration, ricing or separation, it is a good soap to play with! No discoloring either which makes this fragrance oil perfect! The scent retention in all bath and body products, candle waxes and even in soaping stayed very strong and true with no fading! 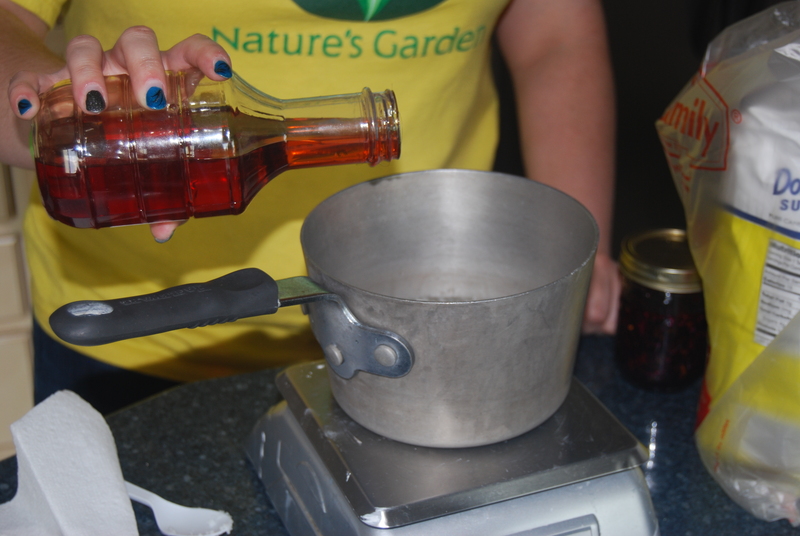 Nature’s Garden created this fun Wine Gel Wax candle recipe using our popular White Zinfandel. This candle is incredibly easy to make using wine glasses as your container and our red Spectrum candle dye. You will have some fun candles to display for any kind of celebration in no time! Do you know? Back in 1975, Sutter Home’s White Zinfandel experienced a failure which resulted in the White Zinfandel as we know it today? The original wine had a “stuck fermentation” which is a problem that occurs when the yeast in the wine dies out before consuming all the sugar. This accidental juice was set aside and several weeks later, the winemaker tasted it, preferring the result, which was sweet and pink. It was originally called Cabernet Blanc, but eventually the name White Zinfandel was adopted. Muscadine is a fragrance oil by Natures Garden that is rich in a wonderful aroma of fresh grapes, blackberries, and woodsy base notes. Much like the wine itself. This fragrance oil did well in our cold process soap processing. There was no accelerating, separating, or ricing. Despite the fact that there is zero vanillin in the oil, it will discolor to a dark cream. Vanilla White Color stabilizer will not prevent this from happening. 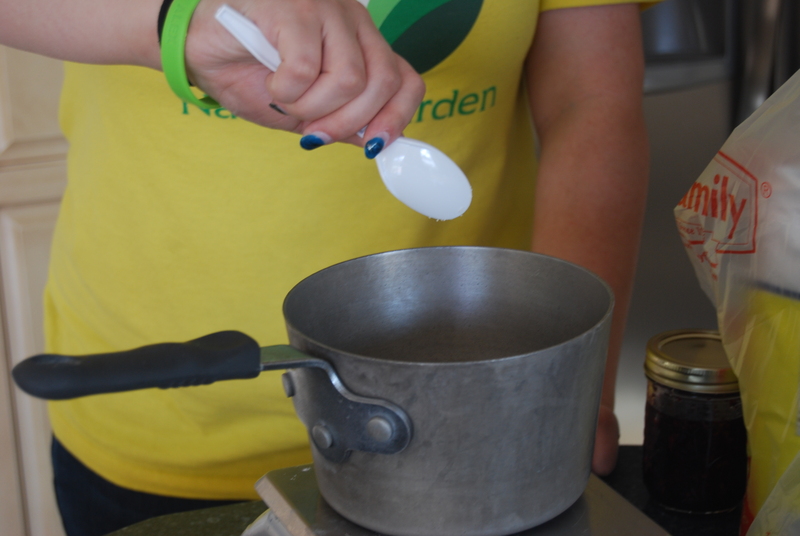 Muscadine also did well in candles and in bath and body products for scent retention. Muscadine grapes are considered America’s “first grape”. They are commonly grown in the hotter, dryer regions of the States. The resulting wine from muscadine grapes result in a sweet, red wine mostly for the reason that winemakers may add sugar to the wine. This wine is known to have a taste of ripe banana, apple, lime peel plus a scent of rubber cement. Wait! What? Rubber Cement? Well, they do say Muscadine wine is an acquired taste so there you go! We all know you can cook with wine. You should always cook with a wine that you would drink is what I have learned. Wine is a versatile ingredient that can deepen the flavor of the most simple dish. 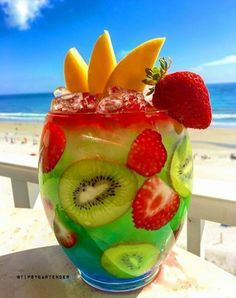 If you would like to broaden your horizons in cooking with wine, enjoy browsing through these recipes that incorporate this popular beverage. So there you have it! We hoped you enjoyed this lesson in wine today. Not only did you learn some fun facts about our featured wine fragrances, but hopefully you found some creative new recipes and learned a little about our best wine fragrances we have to offer. Whether you are looking for some fresh, new ideas to add to a new line of products or just wanting to make something fun and creative for friends or family, we hope to have inspired you just a little. This entry was posted in bath and body, bath products, Fragrance Oils, free recipe, Natures Garden, Natures Garden Fragrance Oils, sugar scrubs, vanilla rose sugar scrub, wholesale fragrance oils and tagged bath and body, bath and body ingredients, bath and body products, bath and body recipes, body safe fragrance oils, crafts as a hobby, emulsifed sugar scrub, emulsifiers, emulsify, emulsions, fragrance oil, fragrance oils, fragranceoil, free bath and body recipes, free recipe, free rose recipes, free sugar scrub recipe, free vanilla recipes, fresh cut roses fragrance, fresh cut roses scent, homemade, natural ingredients, natures garden, rose fragrance, rose infusion, rose products, rose scent, rose sugar scrub, sugar scrub, sugar scrub recipes, sugar scrubs, vanilla bean, vanilla bean fragrance, vanilla products, vanilla rose, vanilla rose sugar scrub, vanilla sugar scrub on November 4, 2014 by Deborah Ward. Hello everyone! Are you a crafter? Do you love to create all the wonderful items on our site? Do you tend to stay in your comfort zone and just stick to recipes for candles and soaps? 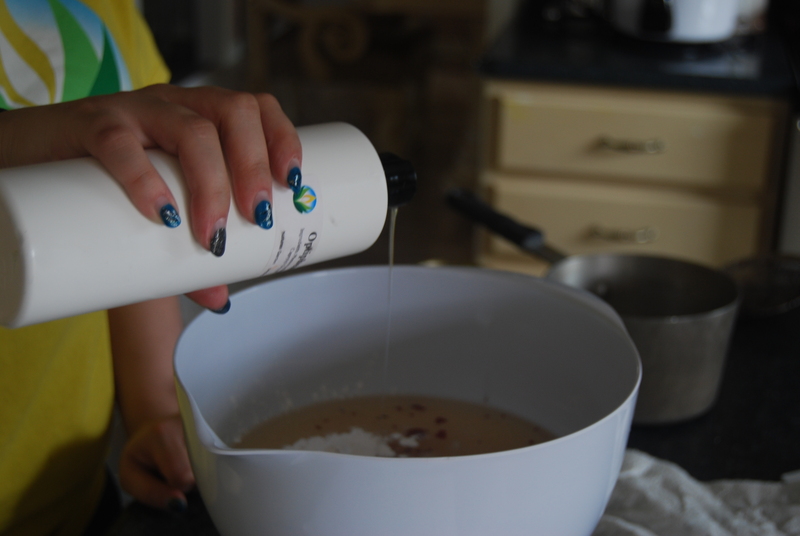 Have you tried any of our amazing recipes for bath and body products? Go check them out! 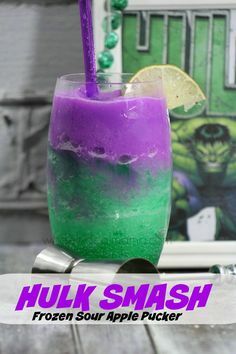 But first, try this fantastic one! I have made it myself, and it is purely wonderful! 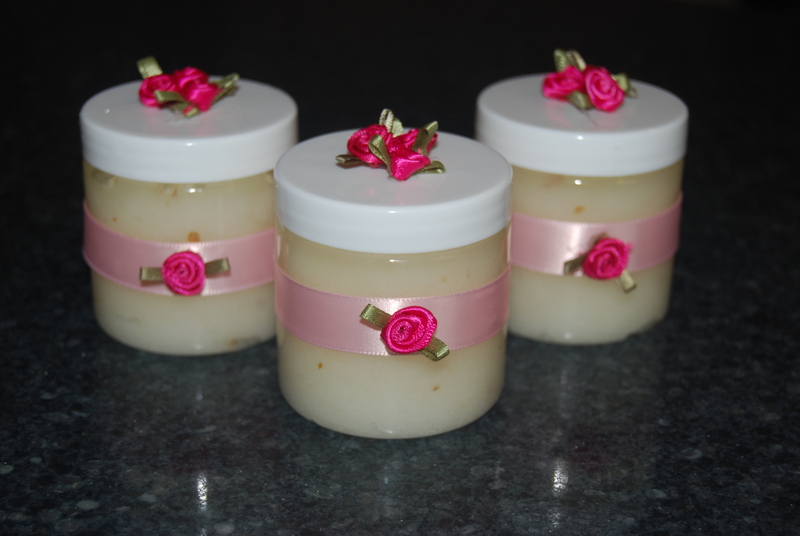 Introducing our free recipe for Vanilla Rose Sugar Scrub! It leaves your skin feeling silky and smooth and is sure to be a recipe that you and your friends and family are sure to adore! This first step should be done six weeks ahead of time so that it will be perfectly infused. 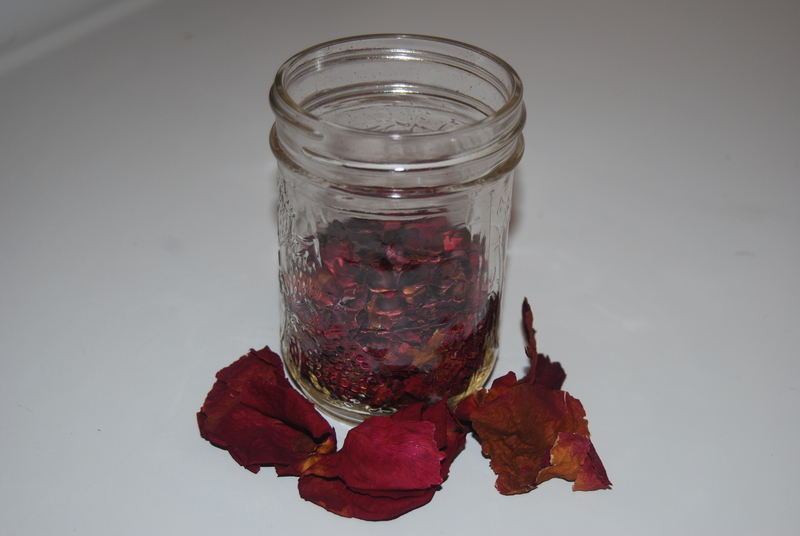 Weigh out and make sure to crush six grams of dried rose petals in a jar. Then add 143 grams of Sweet Almond Oil. 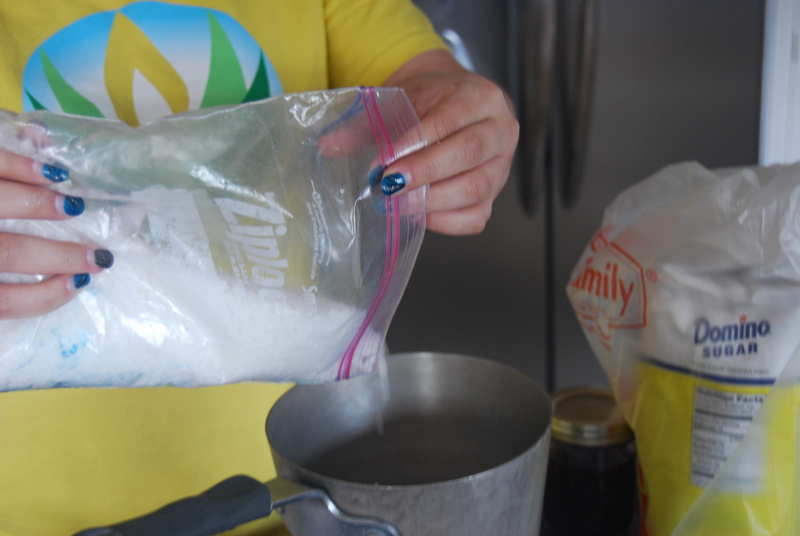 After the six weeks is over, you can make your sugar scrub. First, weigh out, mix together and melt down the following: 136 grams of Apricot Kernel Oil, 68 grams of Shea Butter, 45 grams of Silky Emulsifying Wax, 9 grams of Beeswax, 5 grams of Vitamin E Oil, and 5 grams of Cocoa Butter. 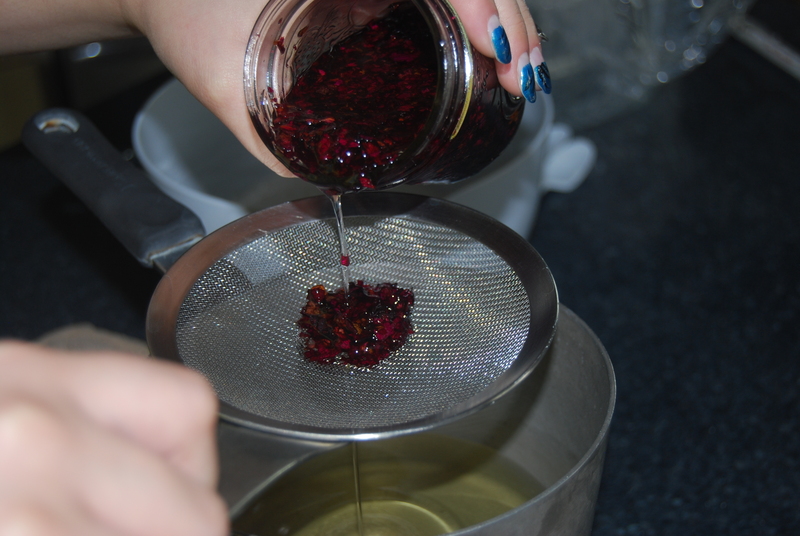 Once all of those are thoroughly melted, pour in 113 grams of the rose oil infusion and mix together. 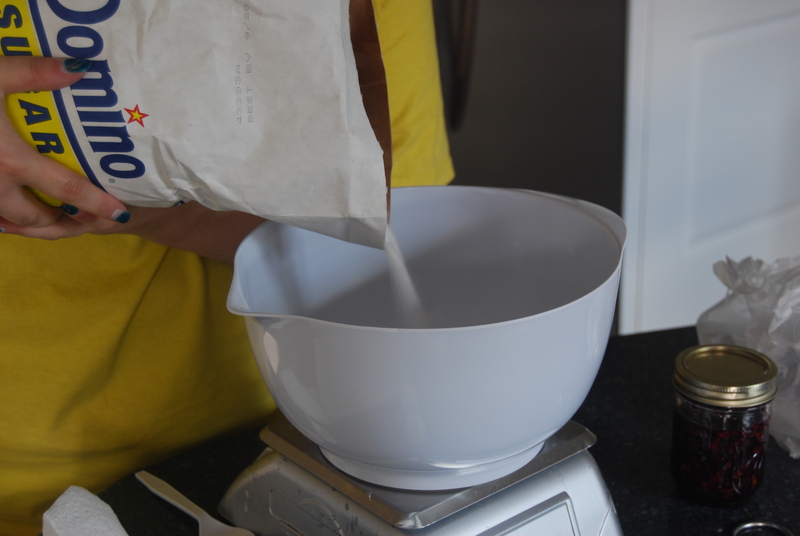 Weigh out and measure 680 grams of sugar and then add the oils to the sugar. 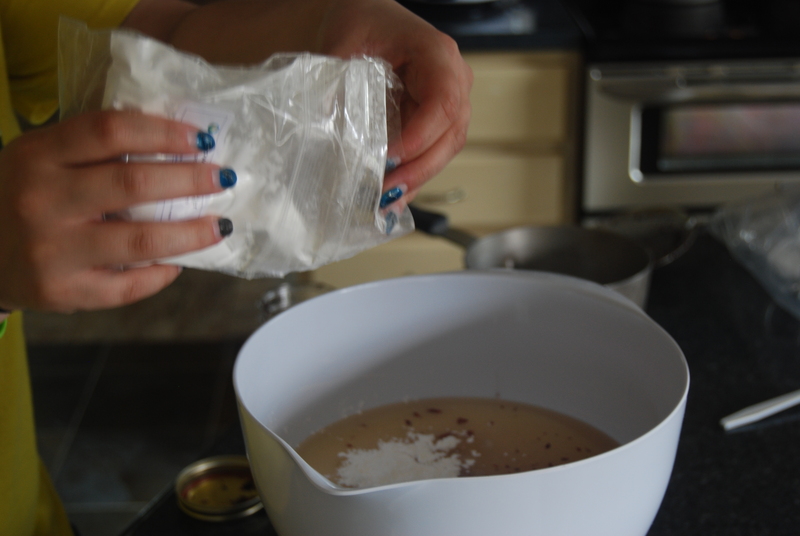 Next, add 6 grams of Arrowroot Powder to your sugar and oils mixture. 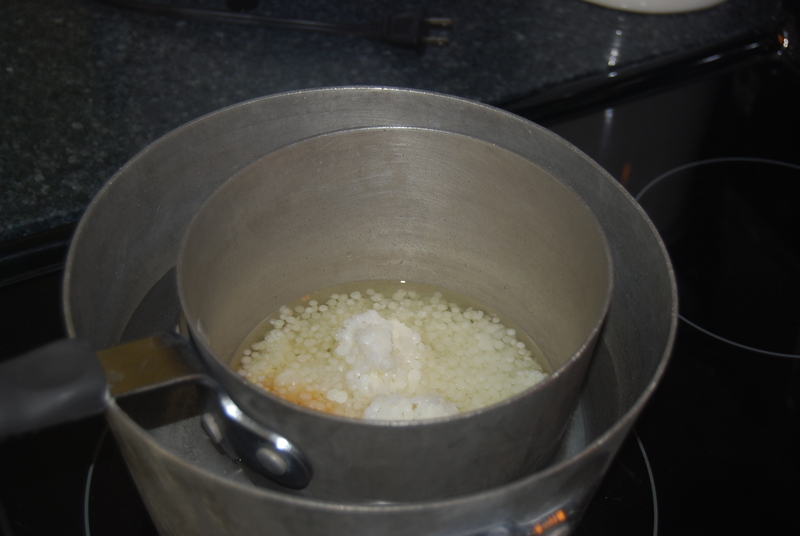 Then add 14 grams of Vanilla Bean Fragrance Oil and 14 grams of Fresh Cut Roses Fragrance Oil. Next, add 5 grams of Optiphen. This will need to be added when the temperature is between 120 degrees and 140 degrees fahrenheit. After the Optiphen, add 10 grams of Vanilla White Stabilizer and mix everything together thoroughly. (We added just a little tiny of the actual rose petals to give it a little more color.) Once it thickens, your scrub is ready to use! This wonderful recipe is sure to be a favorite of everyone you know! The smell of this sugar scrub is definitely out of this world, and it is sure to leave your hands feeling amazing and silky smooth. Don’t hesitate to try this great recipe! The smell of the vanilla mixed with the roses is just amazing! Are you looking for even more fun free recipes or projects to try? Make sure to check out all of our other free classes and recipes as well! I guarantee you are sure to love each and every one of them! Please don’t hesitate to contact us here at Nature’s Garden if you have any questions, problems or concerns! 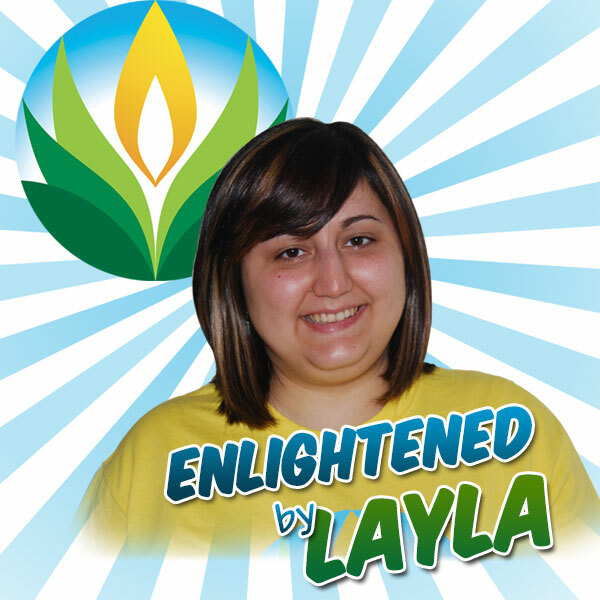 And be sure to watch out for more Enlightened by Layla! This entry was posted in candle making supplies, Fragrance Oils, Natures Garden, Natures Garden Fragrance Oils, Soap making supplies, wholesale fragrance oils and tagged bath and body products, best soap scents, body safe fragrance oil, candle fragrance oil, candle making, candle making supplies, candy scents, childhood wholesale fragrance oils, crafts as a hobby, fragrance oil, fragrance oils, free recipe, free sugar scrub recipes, fruity scents, homemade, house smell good, natures garden, scents for soap, smells like starbursts, soap making, soap making scents, soap making supplies, soaps, sour scents, sour watermelon, sour watermelon candy fragrance, starbursts scents, sugar cubes, sugar scrub recipe, sugar scrubs, watermelon candy, watermelon scents, wholesale fragrance oils on October 31, 2014 by Deborah Ward. Sour Watermelon Candy Scent is a fragrance full of citrus notes that is sure to bring you memories of delicious childhood candies. It is sure to remind you of your first taste of a yummy fruity Starburst! For anyone who loves anything sour that is sure to make your taste buds go insane, then this fragrance is perfect for you! Or even if you are just a fruit lover in general, this fragrance is a perfect combination of those citrus smells with a hint of the sourness! It is sure to be a smell that you and your friends and family will enjoy! What Does Sour Watermelon Candy Smell Like? Compare this fragrance oil by Natures Garden to the flavor of our favorite candy in the whole world, StarburstTM watermelon chews. The aroma of sweet and sour mandarin oranges, pineapples, and wild watermelon. Natures Garden is in no way affiliated with the MARSTM company,owners of the trademarked candy: StarburstTM. 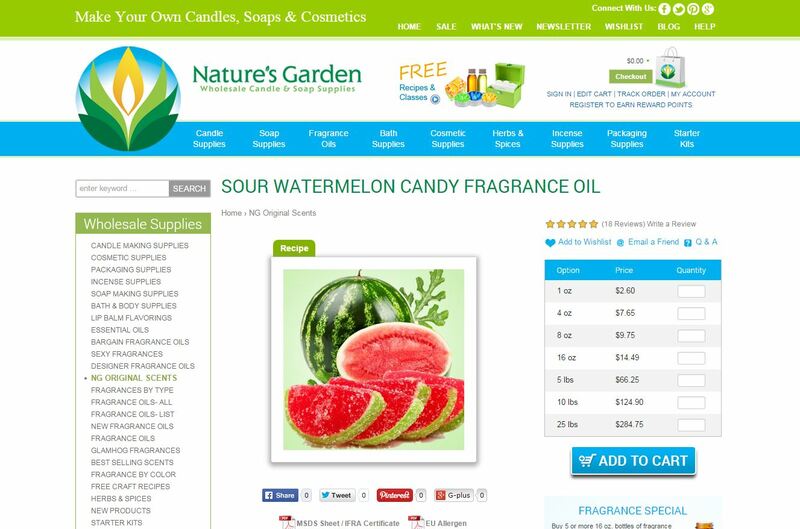 How Do Our Customers Use Sour Watermelon Candy Fragrance Oil? If you are a fruity smell with just a dash of sourness mixed in that everyone will love, then this is the absolute perfect one for you! Sour Watermelon scent is nice and strong in soy wax, and is great for wow wax and joy wax. If you love to make potpourri or incense, this fragrance has a 50% usage rate! For bath and body products, Sour Watermelon Candy scent has a usage rate of 5%. This delectable fragrance can be used to make soaps, bath oils, perfumes, lotions, and bath gels. For all the CP soapers out there, this fragrance is just right for you. Our CP findings are: there is no acceleration, ricing, or discoloration and it has a perfect pour. However, it is just a tad bit oily when used in soaps, but the scent is just phenomenal! This fragrance also has a 0% vanillin content, which means it will not discolor your soaps! Sour Watermelon Candy Fragrance Oil is definitely a scent that anyone of any age is sure to just adore! All those delicious thoughts of one of our favorite candies, it is sure to be one that you will just have to try! Are you wondering how to get your hands on this awesome scent as soon as possible? Well, all you have to do is type “sour watermelon candy” into the search bar on our site. 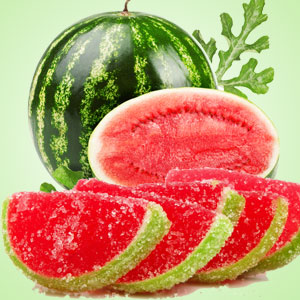 That will take you directly to our Sour Watermelon Candy Fragrance Oil page! And it gets even better! On the top of the sour watermelon picture, there is a little green box that says “Recipe.” Well if you click on that link, it will show the name and picture of one of our awesome free recipes that just so happens to made with Sour Watermelon Candy scent! So make sure to try out our Sour Watermelon Sugar Scrub Cubes Recipe as well! One try and you’ll be hooked! But make sure to check out the rest of our free recipes and classes as well! Please don’t hesitate to contact us with any thoughts or questions and make sure to watch out for more Enlightened by Layla!